Let us be your partner in sourcing, procurement and logistics of your welding wire needs. We handle most major domestic and import brand products. 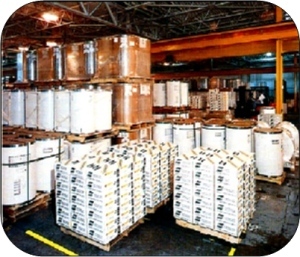 Inventory and commodity reduction programs. Most aggressive pricing in the industry. Staffed offices in the U.S., Canada and Mexico. Largest wire type selection in the industry. Highly skilled importer of quality grade welding wires. No matter what your welding requirements are, MAP can help you with providing application specific solutions. Let our technical sales and engineering staff assist you with weld process and procedure development and weld wire selection. Whether your welding application requires manual welding, robotic arc welding or dedicated welding MAP can demonstrate to you the best combination of welding wire and equipment for your application. Weld process and procedure development services. New and used arc welding robotic sales. Weld package integration services for new equipment and retrofit. Cost reduction and productivity programs. Robotic and fixed automation system consultation services. For a weld wire quotation please contact us today. We guarantee we will be among the most competitive pricing in the industry. Call us at 248-740-8066 or email us with your needs at sales@micharc.com.